If you don't love it, and/or you don't use it, its clutter. Its the perfect time to embrace the Feng Shui art of uncluttered living. Feng Shui teaches that if energy can easily flow through a room, your life will be more harmonious and happy - and clutter is an obstacle to reaching this relaxed and calm state. 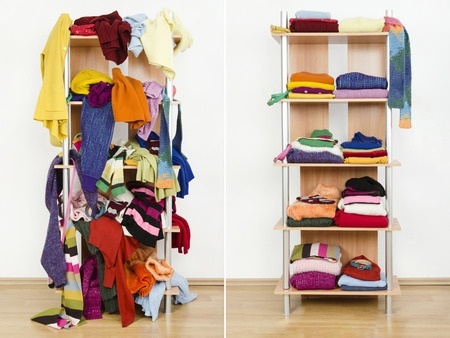 Make it a quest of yours to be ruthless when it comes to your decluttering efforts. You'll have less to dust, less clutter to look it, an easier time finding the things you do use and less stress in your life.